Self Magazine, a publication who "supports" women in nutrition, health, and advice made a colossal mistake in their April issue. The magazine has a page called BS Meter - their guide to what's legit and what is lame. Warning, I ramble when I am mad and Self Magazine really upset me. If you follow this blog, you know I run a lot of events at Disney and dress up for every one of them. 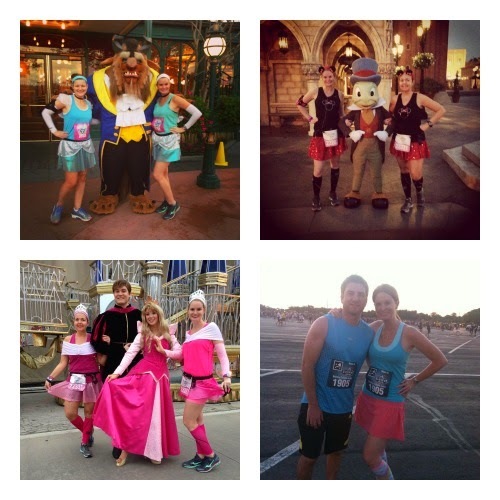 runDisney celebrates runners of all shapes, sizes and speed. 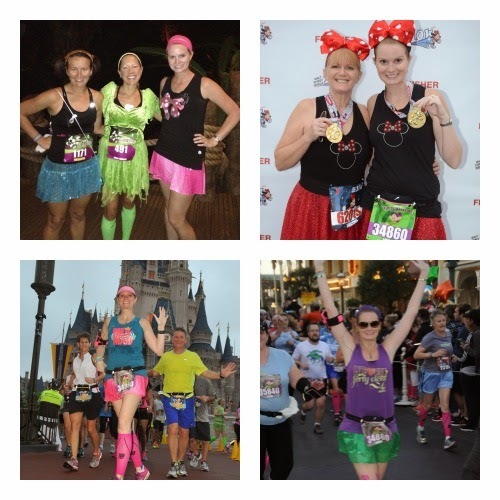 Spectators will see thousands upon thousands of runners wearing tutus, sparkle skirts, fairy wings, superhero outfits. I've seen it all, including men in tutus. So it shocked me when I saw the above photo circulating in social media. People were outraged. When I first saw the photo, I became upset. 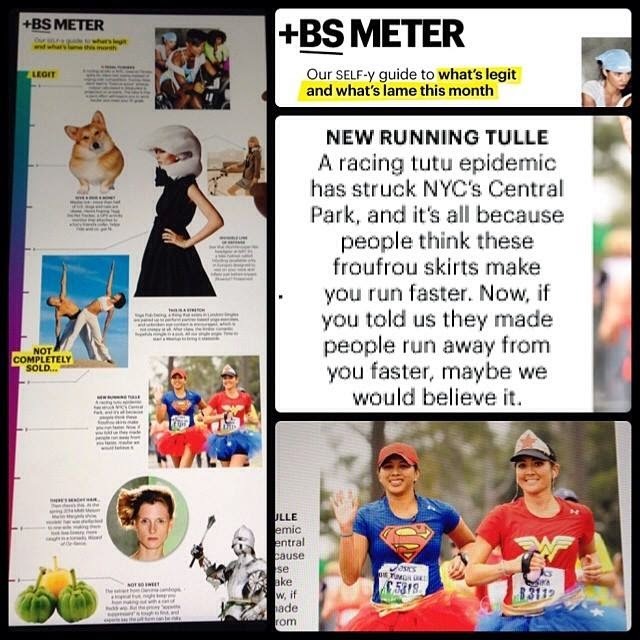 To quote Self Magazine: New Running Tulle, a racing tutu epidemic has struck NYC's Central Park, and it's all because people think these froufrou skirts make you run faster. Now if you told us they made people run away from you faster, maybe we would believe it. Yet there is more to this story than Self being a "mean girl". The two girls in the photo are Glam Runner co-founder Monika and her friend Erika. The two ran the L.A. Marathon together, dressed as superheroes. Monika was recently diagnosed with brain cancer and was running the marathon in the middle of a year of chemo. Tara's bib, supporting Monika, said "Die Tumor Die", which you can clearly read in the magazine print. Monika told NBC that she had no idea that she was going to be made fun of and never would’ve agreed to releasing the photo if she had known how it was going to be used. In fact, they were excited when contacted from Self Magazine for rights to use their photo in the magazine, thinking they would be featured in a positive light. Since starting Glam Runner in 2011, Glam Runner has produced about 2,000 tutus and has donated $5,600 to Girls on the Run -- a nonprofit that has a 12-week training program for girls ages 8-13 to prepare for a 5K race. Self Magazine Editor-in-chief Lucy Danziger says she was ‘mortified’ after Self put Monika Allen’s homemade racing tutu on its ‘BS Meter.’ "I am personally mortified," Danziger told USA Today. "I had no idea that Monika had been through cancer. It was an error. It was a stupid mistake. We shouldn't have run the item.". Cancer aside, this should have NEVER been published. Whily Self is apologizing for publicly shaming a cancer victim, their stupid mistake was making fun of someone for what they are wearing and I feel they owe an apology to anyone who has ever dressed up for a race. 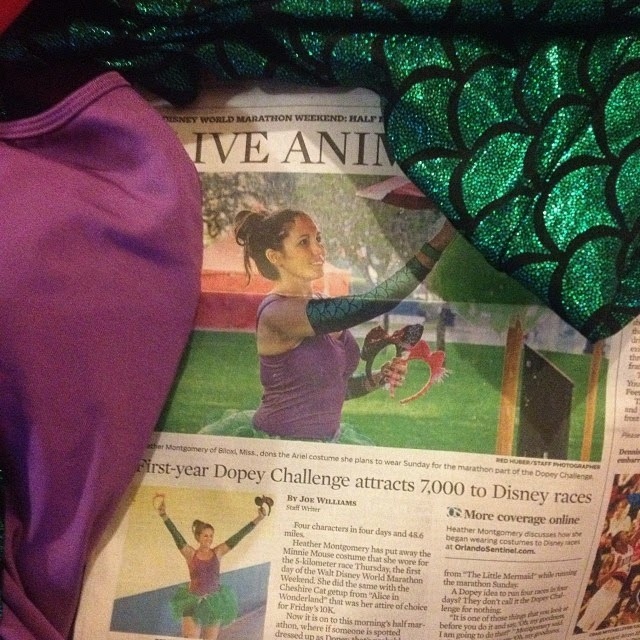 Moving onto positive tutu news, a few months ago my friend Heather was featured in the Orlando Sentinel. They discussed why she dressed up for races; you can watch the video here. Like me, Heather dresses up for every race (although her outfits are way cuter than mine) and we have had multiple discussions leading up to events discussing what we are going to wear. It's part of the excitement of running at Disney. 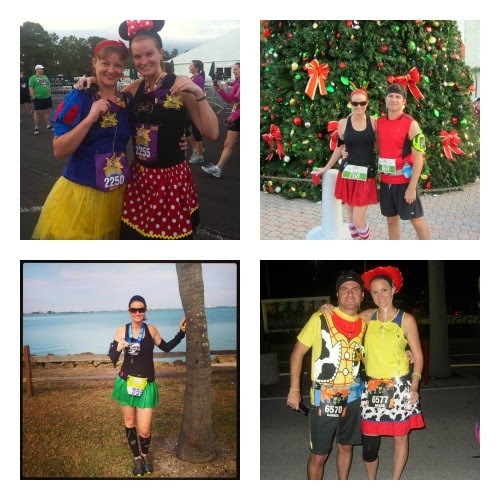 With the exception of a few 5K's and the 2013 ING NYC Marathon, I have worn a tutu or sparkle skirt in every single event I have participated in. So that's 2 full marathons, 7 half marathons, 2 half marathon relays and various other distances. So to the "Mean Girls" at Self Magazine, does that make me Lame? I think it makes me pretty Fetch if I say so myself. Agreed. Self was just nasty and rude for this. Mean girls for SURE! Tutu or no tutu - those girls were RUNNING what most people would never do in their lives! Judgy Judgy Self, Judgy Judgy! I grazed over this story in my newsfeeds and didn't read it. NOW I'm mad. I'm glad you spoke up!! !